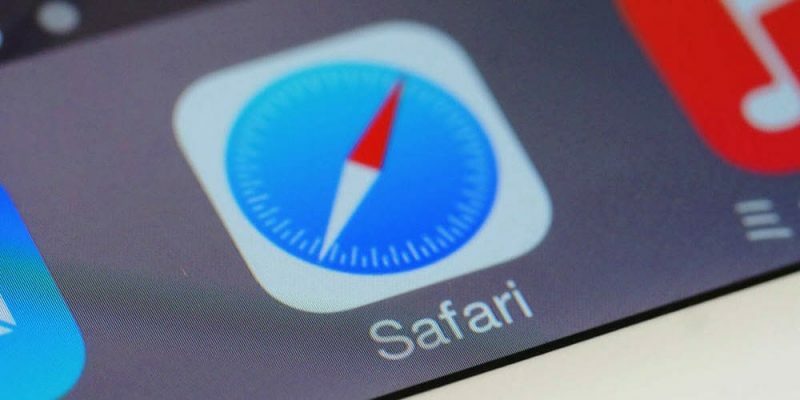 Apple’s decision to allow content blocking in mobile Safari with iOS 9 caused an avalanche of dedicated apps that keep showing up in the App Store. Obviously getting websites served ad-free in Safari doesn’t just make them easier to browse, but also load faster and save mobile data. Regardless of how attractive content blockers for the mobile Safari might seem, be aware many of these apps still have limited functionality, and not just because they’re new on the market, but also because of Apple’s own content blocking API. Nevertheless, content blocking apps have caused a lot of controversy over the past month, so we’re going to analyze those who managed to stand out so far. I chose this as the first app for today’s roundup because it’s free and already popular on desktop browsers. As many users are already familiar with it, ABP makes for a great first choice. 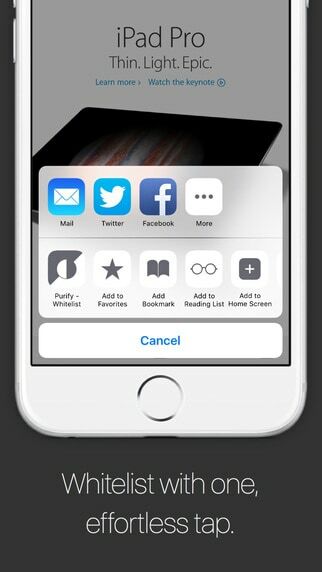 For now, the app has only a small number of options. The first step after installing AdBlock Plus, is to enable it. You can do this in your device’s Settings -> Safari -> Content Blockers. 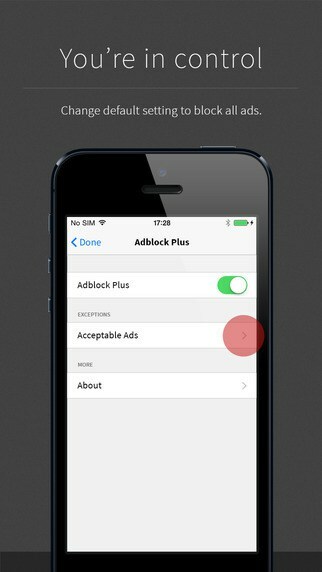 The app lets you turn it on/off completely as well as show or hide acceptable ads. For now, there are no custom whitelisting and blacklisting options, but it is one of the features planned for one of APB’s future updates. 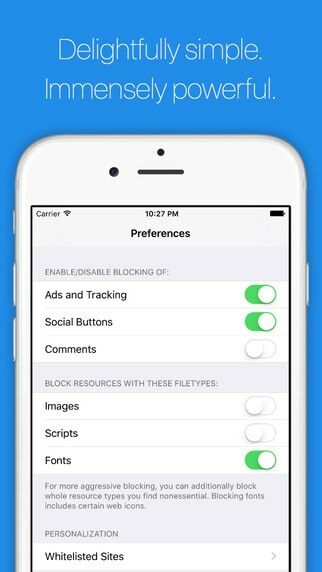 1Blocker doesn’t just block ads, it can also block many other types of content, such as Facebook, Twitter and Share widgets, custom web fonts, Disqus comments, trackers and cookies. Advanced users can take things even further and create custom rules to block specific cookies and URLs and other types of content on all domains, and these rules can be applied only for specific domains or to exclude a number of them. 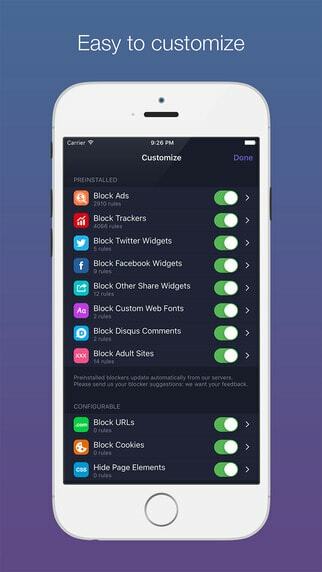 1Blocker is one of the content blocking apps that offer a high degree of customization. 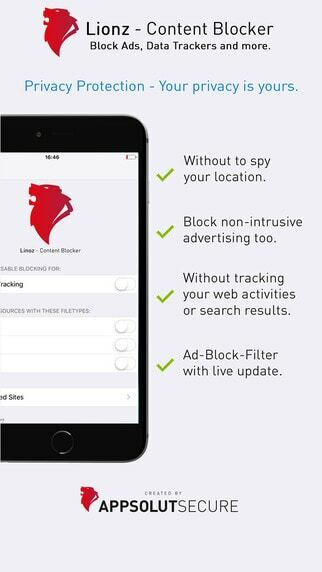 The free version of the app lets you use only one group of blockers (for example ‘Block Trackers’ or ‘Block Ads’). An in-app purchase of $2.99 lets you use an unlimited number of blockers. Purify is one of the most streamlined content blockers currently available. Besides ads, it offers options to block trackers as well as other types of content, like images, scripts, social buttons and custom fonts – with these out of the way, sites will load much faster and won’t be so data hungry. Nevertheless, it’s rather obvious some pages might look weird if you block all this stuff. 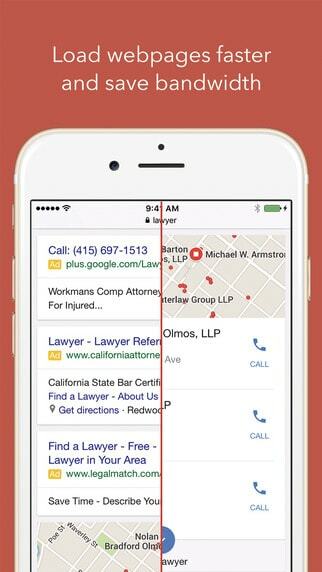 What’s nice about the app are its straightforward options and the one-tap whitelist option that lets you enable ads on your favorite websites. Purify’s regular price is $1.99 but you can buy it right now for $0.99 – this is a limited time offer so we’re not sure for how long it will remain available. Blockr comes with some of 1Blocker’s options, but not quite as many, and it’s easier to set up, making it perfect for the less technically-inclined users who just want a content blocker that works. 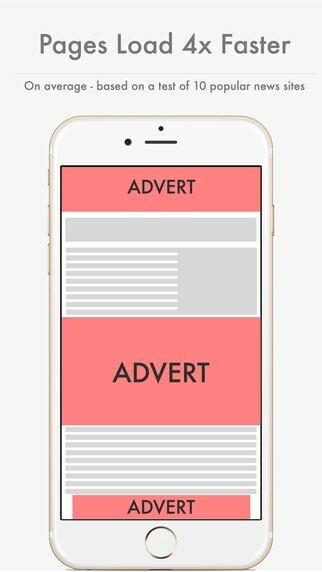 On the app’s main screen you can select which content you want blocked, such as ads, cookies, media, social buttons and tracking mechanisms. If you want to keep things simple, you’ll just toggle the main categories on or off, but if you’re looking to further customize Blockr, each of these categories has an Advanced menu that lets you tweak the app to a greater extent like blocking only certain ad networks and media types. Blockr also lets you whitelist specific websites, but you can’t just do that with the push of a button – you’ll have to whitelist each setting separately. The fact that the app lets you do this is commendable, but I think we can agree an ‘unblock all content’ option on a per site basis should be there for our convenience. Even so, looking at all the functions Blockr provides, its $0.99 price tag is certainly decent. If what you’re looking for is just an on/off switch for blocking ads and tracking, Crystal is the perfect app for that. And it seems many people agree, since its one of the most popular ad-blockers available in Apple’s App Store. Do keep in mind, this is just an ad-blocker, it can’t block other types of content and it was designed to work right out of the box with minimal fuss. However, it does have a ‘Report Site’ feature that lets you submit the URLs of websites still showing ads or not working properly with Crystal turned on, to the app’s developer. The app is getting some bad reviews right now, because Dean Murphy, Crystal’s developer, plans to allow some ads to show through and honestly, his decision was very misunderstood. We’re talking about Acceptable Ads, an initiative led by Eyeo, the developers behind AdBlock Plus, and supported by many quality sites like Reddit, DuckDuckGo and Static Exchange among others. These ads have to comply to a set of strict rules and should be clearly separated from the rest of the content, as well as unobtrusive. Also, most of the companies that applied for Acceptable Ads have been approved without paying anything – only some large companies do, and the ads must still adhere to the rules. And more importantly, the feature of showing Acceptable Ads in Crystal will be optional, just like it is in AdBlock Plus. You’ll be able to disable it at any time. And along with this option, Murphy plans to implement a much needed whitelisting function in the near future. You can read more about this on Murphy’s blog. With that said, you can buy Crystal for 0.99$, and it’s worth the small amount if you want a minimal ad-blocker. This app is an interesting free and open-source alternative – Rocketship, the app studio that developed Adblock Fast is already a profitable company, and they didn’t create this app to profit from it. For now, Adblock Fast is just another turn on/off ad-blocker where you have no customization options. We’re really hoping to see a whitelist option soon in there, and perhaps the ability to hide other types of content besides ads. 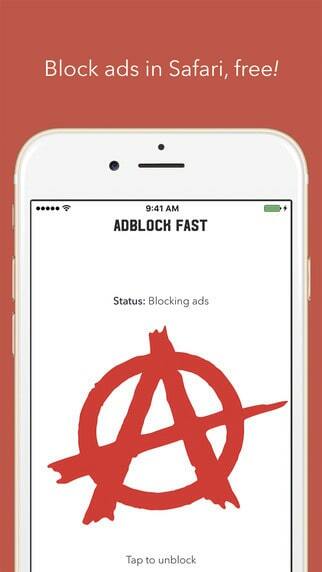 Also, Adblock Fast, can sometimes be aggressive with streaming videos and block those too, but it’s not the only app known to do this on occasion, and seeing it’s lightweight and not built for profit, you can certainly give it a try, especially as a free alternative to Crystal. Oh, and you have to give the developer some credit for the app’s ‘V for Vendetta’ inspired logo. Pretty cool, right? 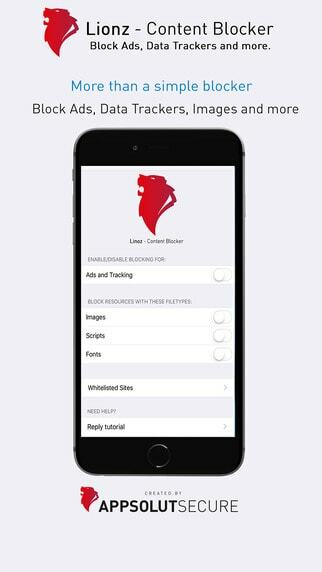 Last on our list we have Lionz Blocker – the app is rather new on the market, but it’s impressively fast and it comes with just enough settings to not be overwhelming. 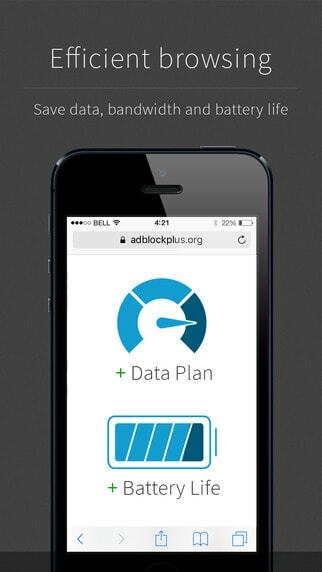 The app lets you block ads, data trackers, images, fonts and scripts. Furthermore, it has a whitelist option, which can’t be said for many other apps (even paid ones) and the loading speed of websites with Lionz turned on is blazing fast. 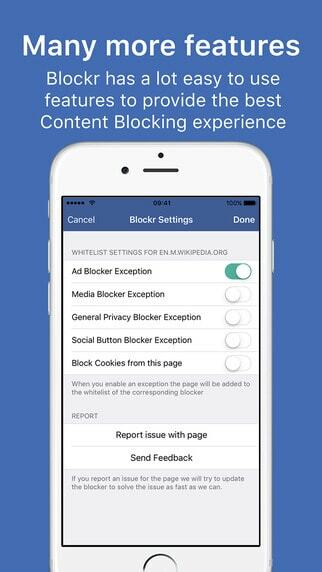 Definitely a must try if you want a free ad-blocker for your mobile Safari. Wrapping up today’s roundup, I would like to point out one very important fact: nothing in life is free and certainly not websites (there are servers to pay, programmers, editors, writers and so on). The need of ad-blockers came from dare I say, shameless website owners that serve readers with annoying autoplay, pop-up, cursor-following and other similar types of ads that can slow down page loading, consume more data and make browsing more difficult in general. As a result you are free to use ad-blockers however you want (we use them too), but please consider whitelisting PocketMeta if you like our content and in fact, all your favorite websites which rely on ad revenue but show only static, unobtrusive ads. 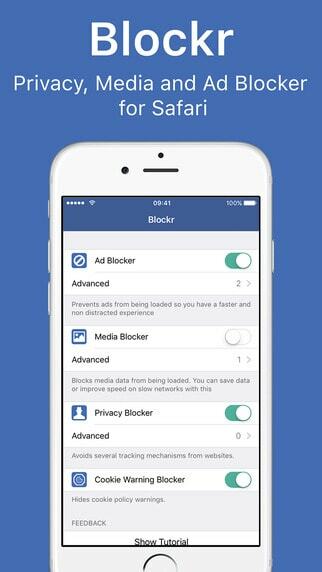 Let us know what ad-blocker you are currently using on iOS 9 in the comments section below or send us a message on Facebook, Twitter or Google+.